★★★#30 role playing game on Mac! 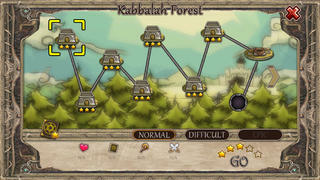 ★★★#90 strategy game on Mac! You may have played plenty of other TD defense games, but it's the new feeling in MAGIC CRAFT that's going to surprise you! As the legend says, a long, long time ago there was a kingdom ruled by a wise king, a queen, and their beautiful daughter, in a place they called Fantasy Land. All was well until the darkness attacked this magical place and took away the princess. The king gathered to all the brave men in the kingdom stating that anyone who can defeat the darkness army and got her daughter back could get married to her daughter. It's your time now, hero. The beautiful princess is waiting for you! Fight on forests, ice worlds and fiery valleys, defend your kingdom and princesses against darkness! Extra game modes that will challenge your tactical skills! 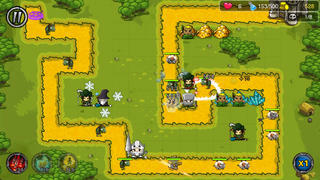 Recruit wizards, warriors and archers, customizing your defensive strategy with different unit upgrades and talents! Fight against hordes of goblins, orcs, skeletons, giants and other darkness armies! Customize different talent builds to defeat darkness armies and bosses!